EV14959 Features: -Pedestal. -Color: White. -Center drain. -Claw feet not included. Application: -Tub. 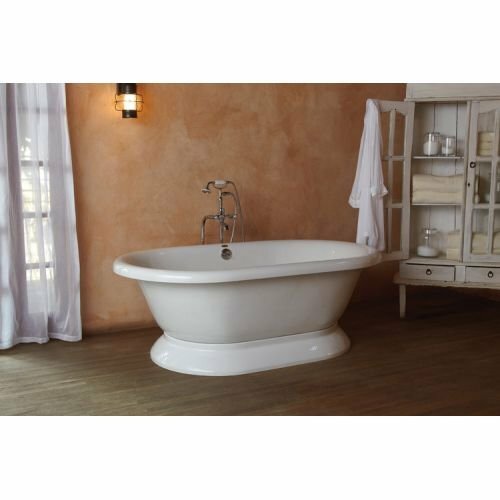 Product Type: -Bathtub base. Dimensions: Overall Depth - Front to Back: -19 Inches. Overall Product Weight: -20 Pounds. Overall Height - Top to Bottom: -66 Inches. Overall Width - Side to Side: -36 Inches. If you have any questions about this product by Jacuzzi, contact us by completing and submitting the form below. If you are looking for a specif part number, please include it with your message.